I’m sure many following the American domestic culture wars have raised their eyebrows at the most recent incident, a legal battle concerning the legality of a Ten Commandments display on the grounds of the state capitol building in Oklahoma City. Satanic Temple, one of the various atheistic satanist groups surprisingly active and well-followed in this country, has announced plans to submit a proposal to the Oklahoma State Capitol to erect a Satanic statue of Baphomet, the devil-goat, Satan himself, upon the grounds, as testimony to the universal religious freedom enshrined in Oklahoma’s (and America’s) constitution. Yup, those are children smiling admiringly at the Steward of Hell. Supposedly his lap’s supposed to double as a seat of contemplative joy on the proposed statue. Conservative Christians are predictably incensed, and the ACLU opposes the proposal out of an honorable consistency: it opposes ALL state-funded religious expression, believing it to go against the principles of church-and-state. Devotion to one’s faith against the cosmic antagonist of that faith, and fidelity to universal values- two perfectly justifiable reasons to oppose the placement of the statue. 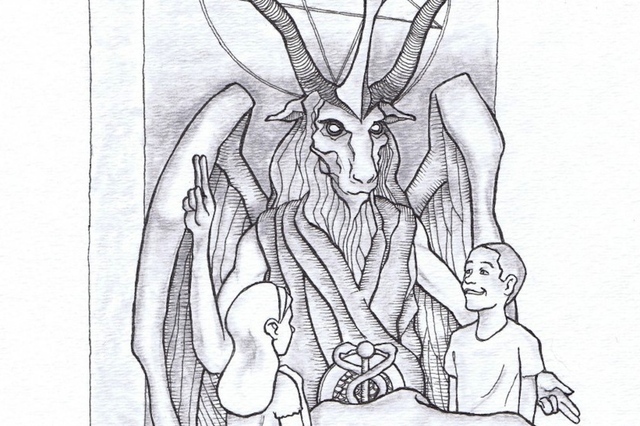 However, I can think of one yet more critical reason why the Baphomet statue ought not be erected. The Satanic Church, it seems, is a recognized religious organization. Now there is a tradition in local and state politics in the United States, of religious groups placing religious monuments like crucifixes and saint statues on public grounds such as courthouses, libraries, and other various government turf. If it ain’t broke, don’t fix it- this is simply too widespread a tradition, I think, for it to be desirable to eradicate it, as the ACLU seems to intend. When public opinion is generally hospitable to religion, it makes sense that the servants of the public would allow religious expression on their territory, the public’s territory, if for no other purpose than to satisfy general public sentiments. Thus the monuments of various denominations of Protestants, and Catholics, and at times even Jews. It gets a little hairier when religious minorities desire a monument placed, but public recognition and funding of Muslim and Hindu and Eastern Orthodox monuments is neither unthinkable nor unheard of. To be clear, while there are undoubtedly those kooks who DO worship the Devil, and practice various occultish rites in the hopes of being possessed by the Prince of Darkness, most “Satanists” in the modern United States are not satanic at all. They are not even theists. 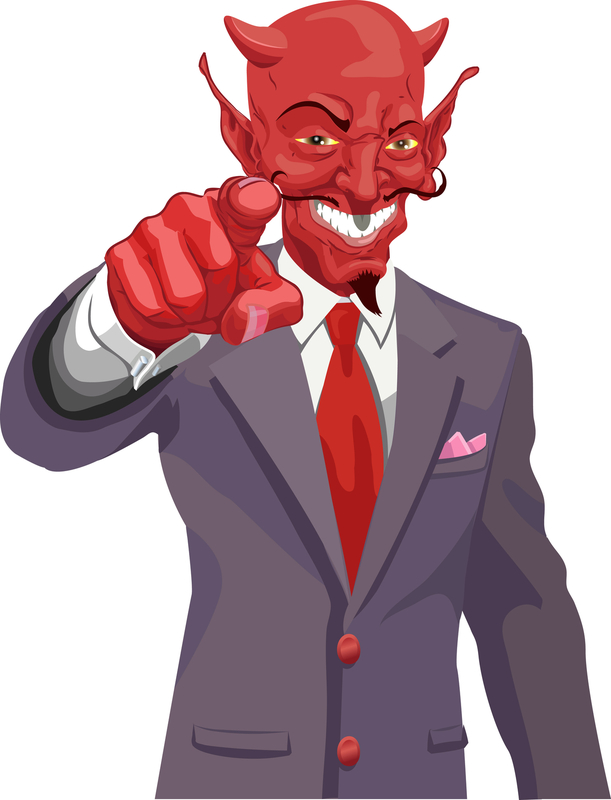 Put very simply, the modern Satanist movement, as it has existed since the 1960s, celebrates Satan as a SYMBOL of free will, expression, the search for truth, the acceptance of the body’s imperfection, and various other nice-sounding ideals generally endorsed by secular humanism. There’s nothing particularly mystical about it. * Satanists might be better called secular humanists with a penchant (or an upside-down pentagram) for symbolism. Now there is nothing particularly bad about this. A good atheist friend of mine has argued, quite convincingly, yet imperfectly, that Satan represents some of the most fundamental freeing drives of human nature. I perused the website of this ‘religious group’ and found their ethics quite commendable, and their metaphysics actually quite beautiful, even inspiring. But it is important to note that everything supernatural, Satanic Temple treats as PURELY SYMBOLIC. That is, the official ‘theology’ of the movement is a good-natured agnosticism, fraught with symbolism. That is not a religion (though it may be a philosophy,) and whoever thought it would be a logically coherent policy to grant this group a ‘religious group’ legal status messed up terribly. In general, religions require the mystical*, a supernatural order of things beyond this earthly sphere. They require transcendence past the mere spirituality humans are capable of experiencing on Earth, and a belief in greater truths than justice and righteousness and existence. I have argued that to believe in God (and religions do not necessarily require Gods, just superior metaphysical and spiritual realities) you must merely “believe in a greater spiritual reality which preceded and created the universe, and that you, as a human, have a special part of that spiritual reality within you, which nothing else in the universe shares.” But it is clear, looking at the beliefs and tenets of Satanic Temple, that the group treats Satan as a symbol for human striving rather than an existent deity. This would be like if Christians believed that Jesus were merely an example of how one ought to live- but the fundamental belief of Christianity is that Jesus came to save the souls of all men, and Christians therefore hold him not as a moral teacher, but as the salvation of the human race, their path to eternal life. The paragraph above (italics mine) and the seven principles below it form what appears to be the core of Satanic Temple’s beliefs. And nowhere, nowhere, nowhere, is any belief in the supernatural imposed. As a guide for life, as a code of conduct, it is, as I noted before, quite a commendable one; but the modern secular idea of religions as chiefly codes of conduct, paths to virtue, is not a good or accurate one. There must be an element of faith in a structure greater than this universe and a spiritual reality accessible by the human spirit, and Satanism appears to display none of these. It is important to read this with the symbolic nature of the word “Satan” in mind. Coupled with the teaching that “The Satanist harbors reasonable agnosticism in all things,” it seems that this founding myth is viewed as that- mere myth- and not believed to be seriously the origin of the world. I repeat: religions are organized systems of belief which acknowledge a greater metaphysical reality deeper than mere spirituality, and seek to connect human beings to those realities. The forced agnosticism and absent theism of the beliefs of Satanic Temple lead me to conclude that the group is not, in any way, truly what could be called a “religious group” (though they are probably dedicated and passionate people anyway.) As they are not a religious group in any meaningful sense, they should not have been accorded legal status as that, and they should not be given the opportunity to place their monument alongside religious monuments to be treated as an equal. 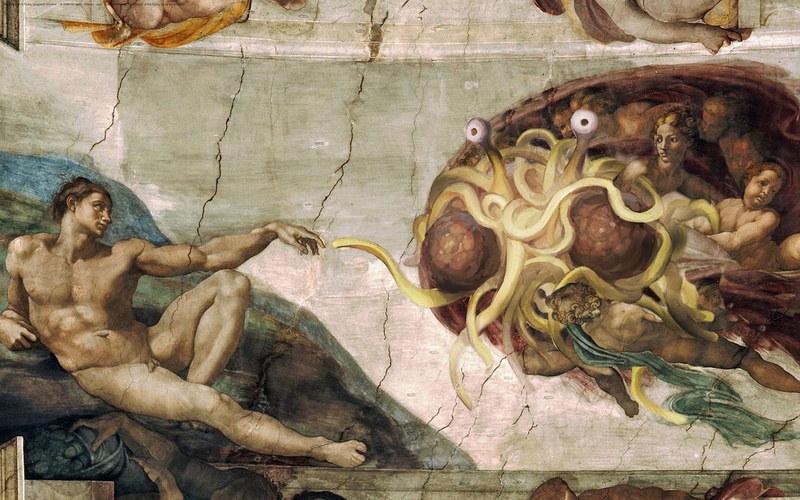 To allow it would be like allowing a statue of the Flying Spaghetti Monster to be placed.